The Government Digital Service (GDS) is set to receive a budget boost to help with the transition away from the large Whitehall IT outsourcing deals that are due to expire in the next few years. 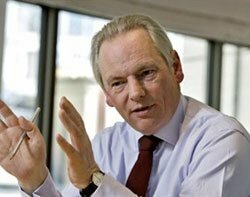 Speaking at a press briefing to announce the new civil service chief executive, Cabinet Office minister Francis Maude (pictured) was asked if GDS was likely to get extra cash for the planned expansion of the government digital strategy to support further Whitehall reform. He acknowledged there is a particular need to deal with impending changes in IT across government. “There are a number of big IT contracts coming to an end in the next few years, and there will be a big transition programme that will undoubtedly require more resources, but not, I suspect, forever,” he said. GDS has budget of £58.345m for the financial year ending March 2015. In the next few years, major IT outsourcing deals at HM Revenue & Customs (HMRC), the Ministry of Defence (MoD), the Home Office and the Department for Work and Pensions – as well as smaller deals in other departments – all reach the end of their contracts. Under the digital strategy, those contracts will not be renewed. Instead, any technology outsourcing will support plans to develop a “government as a platform” approach that will eliminate the need for departmental silos for IT that have historically been run by big IT suppliers in long-term, large-scale outsourcing arrangements. Most departments with an existing outsourcing arrangement are already publishing digital strategies to move away from those deals. HMRC’s plan, announced in September, will see an end to the £800m-per-year Aspire contract with a consortium led by Capgemini and Fujitsu. The HMRC digital strategy describes a roadmap for developing digital services to improve how taxpayers and businesses engage with the department. The strategy outlines key elements expected to be put in place by 2018, by which time Aspire will have expired. The MoD is already recruiting senior IT leaders to drive its digital plans as its 10-year, £7bn outsourcing deal with the HP-led Atlas consortium comes to a close in 2016. And the Home Office has two major systems integrator deals in place – with Fujitsu and Atos – that also expire in 2016. In July this year, it announced the Reset4 programme to overhaul the department’s technology ready for the end of those contracts.